That day happened to be Gene’s 90th birthday. Three-quarters of a century separates their ages. Gene has great-grandchildren older than Skylar. On Monday through Saturday their lives could not look more different. But on Sunday mornings, that distance gets reduced to no wider than the space between their chairs. Gene is fighting cancer, so he can’t always make it to church any more. And when he does, he can’t sit in the folding chairs we set up in the main room. So, while the rest of us go into the sanctuary to sit, stand, sing, clap and raise our hands in worship and learn from scripture, Gene sits quietly in an armchair in the lobby and listens. 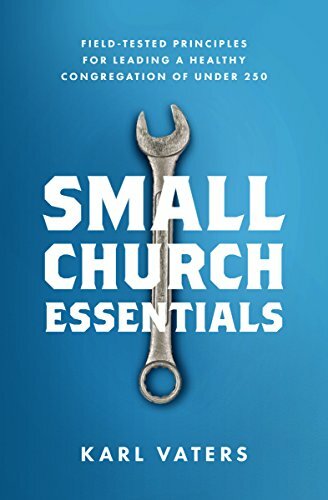 When the service is over, the main part of Gene's church experience begins. As people talk, laugh and hang out in the lobby, he stays in his chair. But he’s seldom sitting alone. People of all ages stop and chat with him constantly. They bring him coffee. They enjoy his quiet friendliness and wisdom. They learn about his life. They listen as he shares his passion for painting. They pray for him and he prays for them. A healthy church should always look something like this. No matter how big or small the church is, these moments matter. Pastors like me run around trying to keep up with all the work of the ministry, sometimes wondering how much of it really makes a difference. We worry about budgets, stress over attendance and learn about the latest methods for being relevant to a speedily-changing culture. Meanwhile, people like Skylar and Gene ignore the noise, worship Jesus and share their lives. In other words, they have church. And Jesus is honored in that. I wrote this article one year ago, on February 2, 2015. I'm posting it again today, because after fighting a brave battle with cancer, Gene went to be with Jesus yesterday, January 28, 2016. Three days after his 91st birthday. One of the testimonies that has come in since Gene's homegoing is from a grateful mother. Gene met with her pre-teen daughter when she was being bullied at school, to paint together and teach her how to paint. The old teaching the young. A few months ago, Gene asked me if he could paint something for us, his church family. Of course, I said yes. A few weeks later, he presented me with his rendition of Jesus turning water into wine. It was the last thing he ever painted. It hangs in our church lobby today.